Mother’s Day is almost here! Which means, if you haven’t gotten your Mother’s Day gifts already, it’s time to get going. 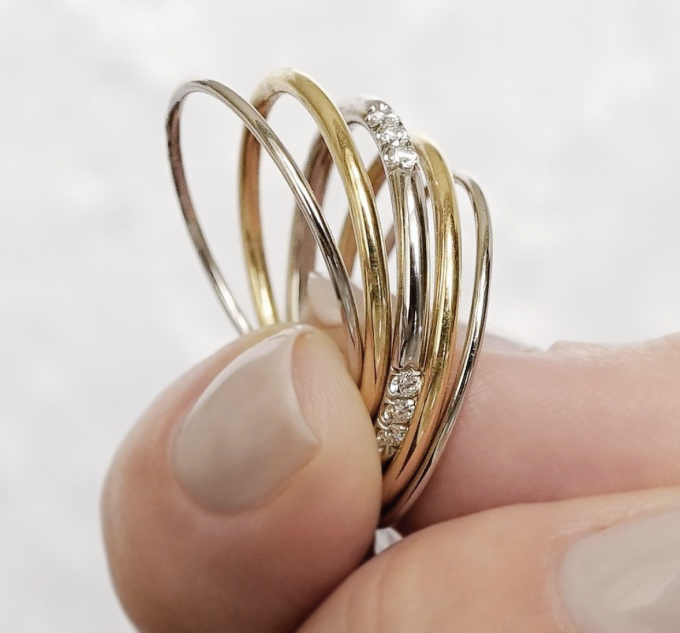 Whether you’re looking for something for your mother, your grandmother, or the mother of you children, there’s one gift that’s sure to impress: fine jewelry. Unlike flowers or chocolates, which only last a short while, a beautiful new piece of jewelry is something she can enjoy for a lifetime. Plus, there’s no gift that will make her feel more special and loved. To help you pick a piece she’ll adore, here’s our Mother’s Day Gift Guide! Are you think of choosing diamond studs this Mother’s Day, but want something a little more romantic? Go with these enchanting round brilliant diamond studs set in rose gold. Rose gold is has a soft, blushing pink hue that is simply lovely. Plus, rose gold has a neutral tone, meaning rose gold jewelry looks great with any skin tone. 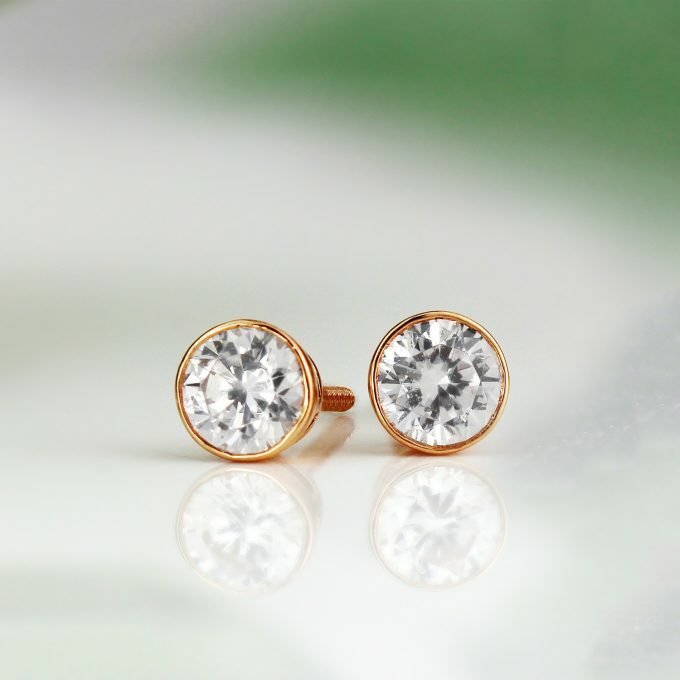 These rose gold and diamond studs also feature bezel settings, which means that they’ll be better protected if the mom in your life happens to bump or drop them. Luxury and function— it’s a win-win! For more details on these beautiful studs, view here. 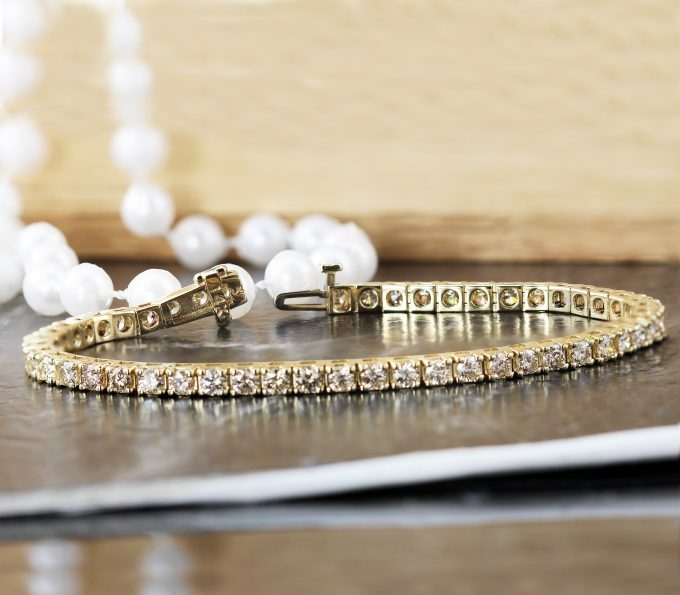 If you really want to impress her this Mother’s Day, go with a diamond tennis bracelet. A tennis bracelet is something most women only dream of having. But with this chic, customizable option, you can make her dreams come true. This tennis bracelet features an endless ring of glimmering round brilliant diamonds. And, as mentioned, this one can be totally customized! You can choose her favorite precious metal for the setting, the total carat weight for the bracelet, and even your desired diamond quality. Being able to customize this bracelet is key. Not only can you change things up to fit her personal style, you can also change the carat weight and diamond quality to help it fit into your budget! Want to make her feel like royalty this Mother’s Day? Princess diamond studs are the perfect choice. Diamond studs are one of the best gifts any woman can receive. They’re classic, gorgeous, and incredibly easy to wear— which makes them the ideal fit for the busy mom in your life. These studs are princess cut (which makes them look square), giving them a chic, contemporary beauty that will dazzle her. 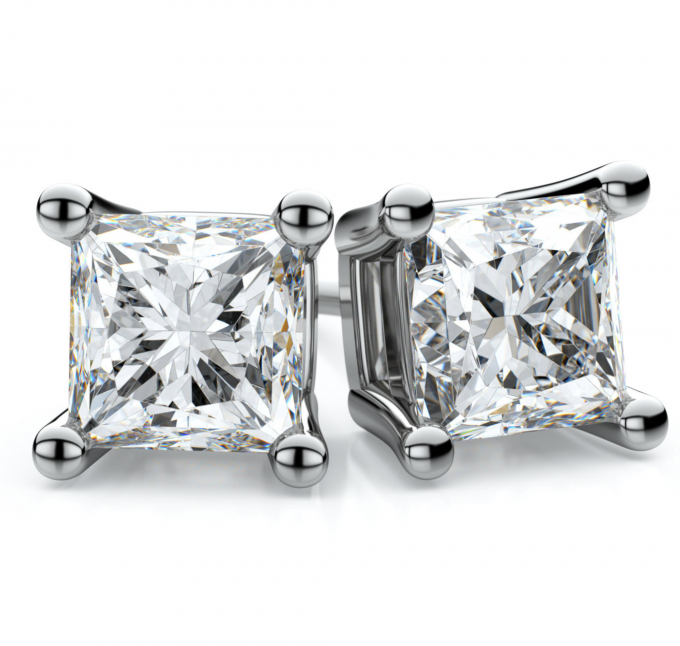 Find out more details about these beautiful princess cut diamond studs here. Does the mom in your life have a more unique, edgy sense of style? Then this contemporary ring is the perfect choice. This gorgeous ring has a distinctive design. In this piece, two matte 14k gold bands are connected by lines crafted from yellow gold, creating one statement-making ring. On each band lies a stunning, mysterious black sapphire. 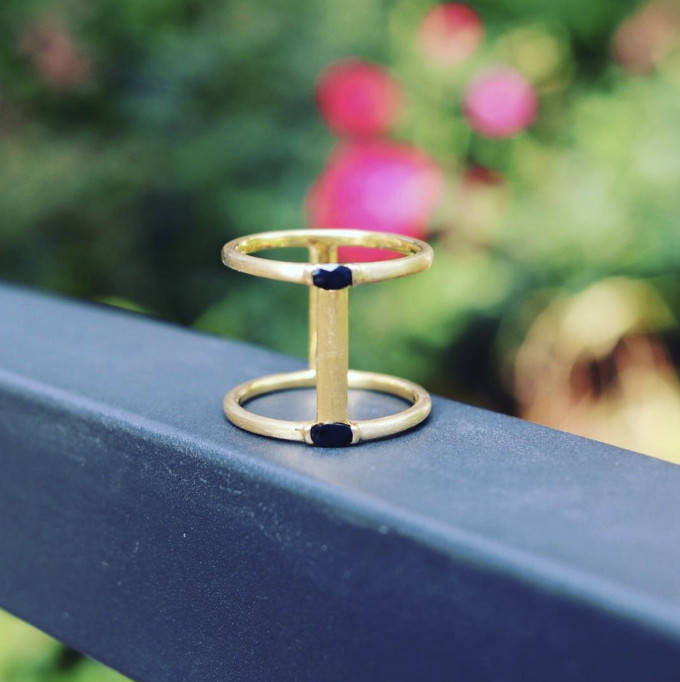 This ring is edgy, boldly beautiful, and luxurious. Click here to see more details on this unique piece! This sleek ring has it all. It’s classic, yet unique. It’s wearable, yet eye-catching. This stunning piece is also luxe: it’s crafted from pure yellow gold and is set with 12 glimmering white diamonds. This ring can be worn as a delicate fashion ring, but also works beautifully when added to a wedding set. To get a closer look at this elegant ring, view here! Want to add a bit more vibrance to her life? Go with this gorgeous blue diamond pendant necklace. 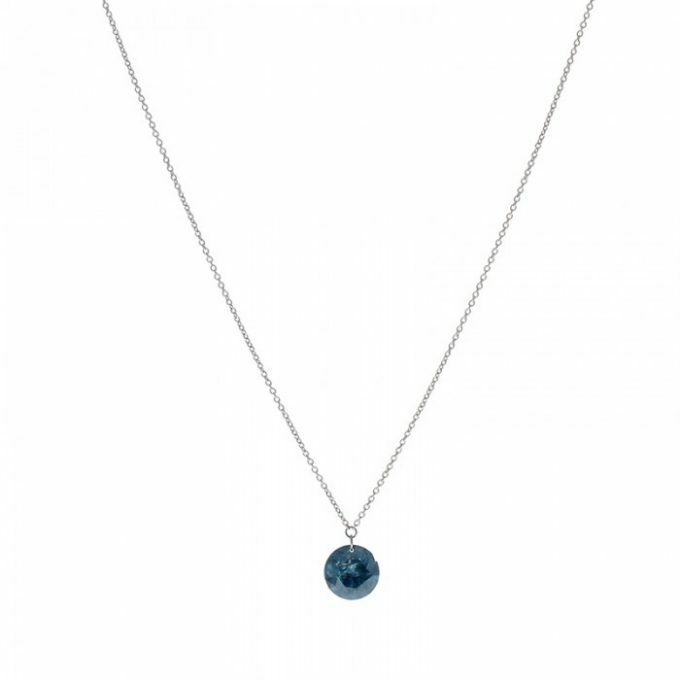 In this design, a .8 carat blue diamond (which is quite a rare diamond color) dangles delicately from a slim white gold chain. This necklace is beautiful and ultra wearable. Pendant necklaces work with any outfit, from casual to upscale, so she can enjoy wearing this one any day of the week.